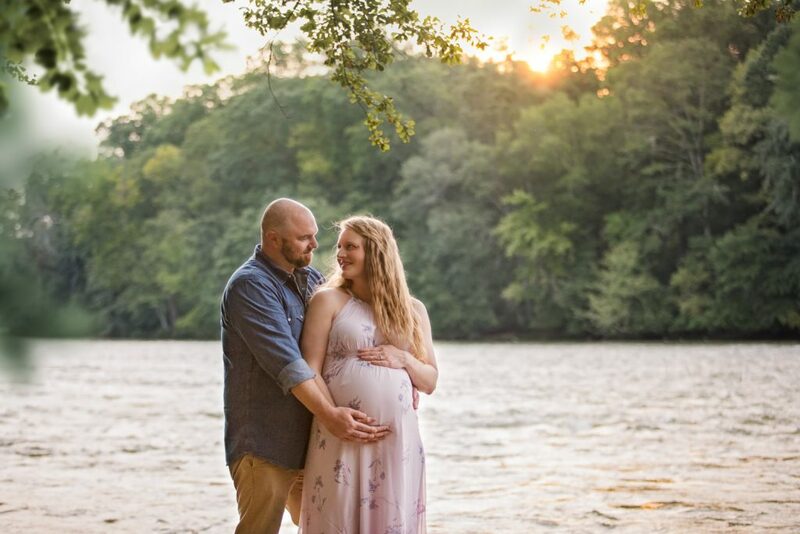 Water, sunset light, and a baby bump equal absolute heaven for this Roswell maternity photographer! 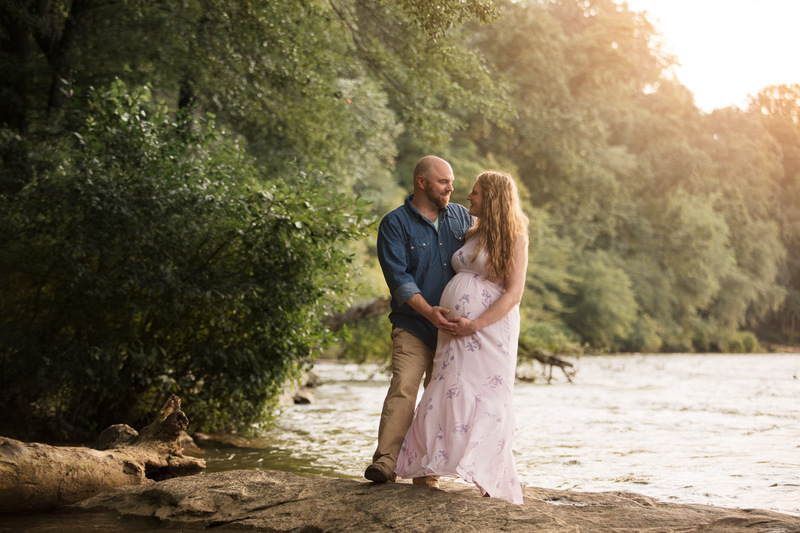 This adorable couple were a joy to photograph and I could feel their connection and love during our maternity mini session by the Chattahooche. I love flowy dresses on mamas-to-be, it highlights their baby bump perfectly and shows beautiful movement in the images with the luck of a little wind. We were rained out on our first attempt, but the next day we were able to meet – leave it to Atlanta to always keep you guessing on the weather. 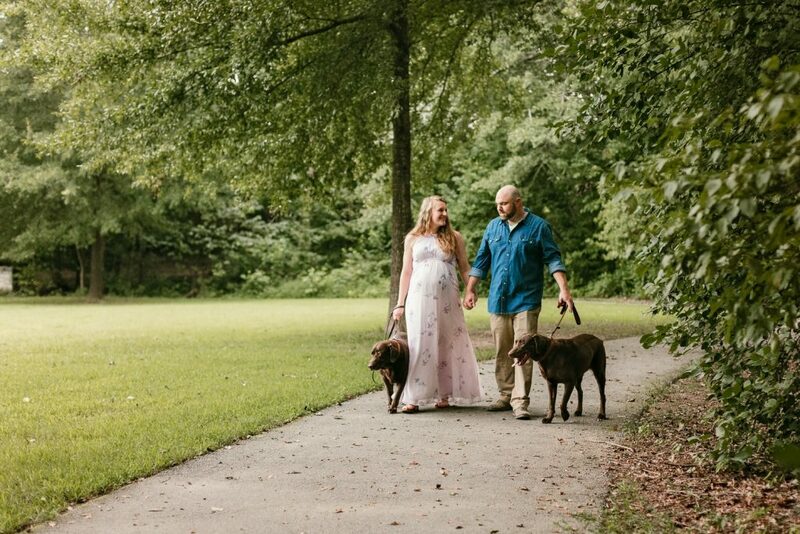 A lot of parents who want a newborn session hesitate when it comes to meeting for a maternity session – they aren’t quite sure what they would do with their prints, some mamas are still adjusting to their changing bodies and don’t feel like themselves. But let me tell you, these last days or weeks with your family before a huge shift occurs are worth remembering, worth documenting. The year after a baby arrives always seems to go by in a blur. Having portraits done to remind you of what you looked like and felt like in each beautiful stage of life is not something you’ll ever regret. 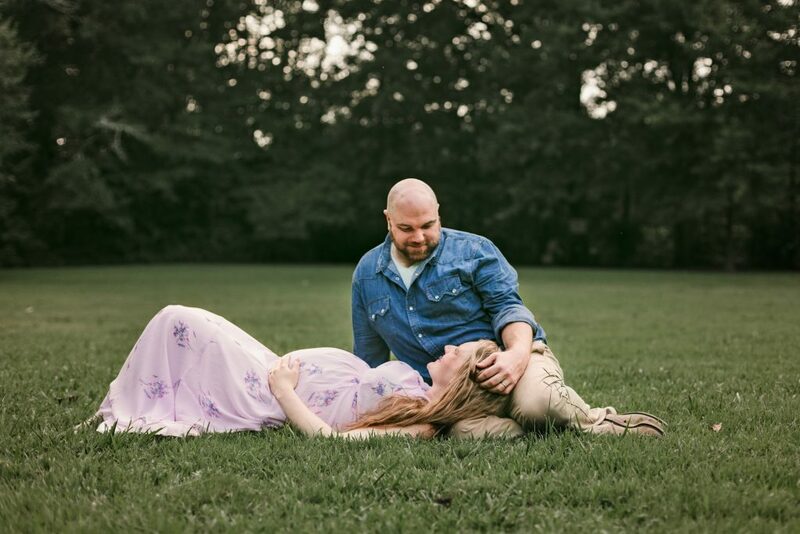 As a part of newborn packages I offer maternity mini sessions – they are the only kind of mini session I offer throughout the calendar year – and it gives me a chance to get to know the couples before I arrive in their house to meet their newborn baby. They’re really one of my favorite kinds of sessions and I feel like they allow me to tell your story more completely. It feels like an eternity waiting for that first baby to arrive. And you can’t quite imagine what life will be like once they’re there. And then you can’t remember what life was like before. I hope you enjoy a handful of images from our session. And C&D, I’m looking forward to meeting your adorable new addition next month. 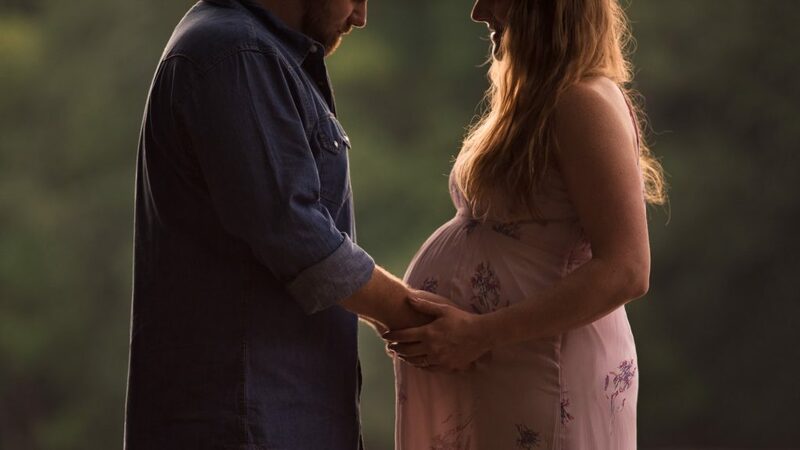 Ashley McBroom is a Roswell photographer, specializing in newborn photography, family photography, children, and seniors. 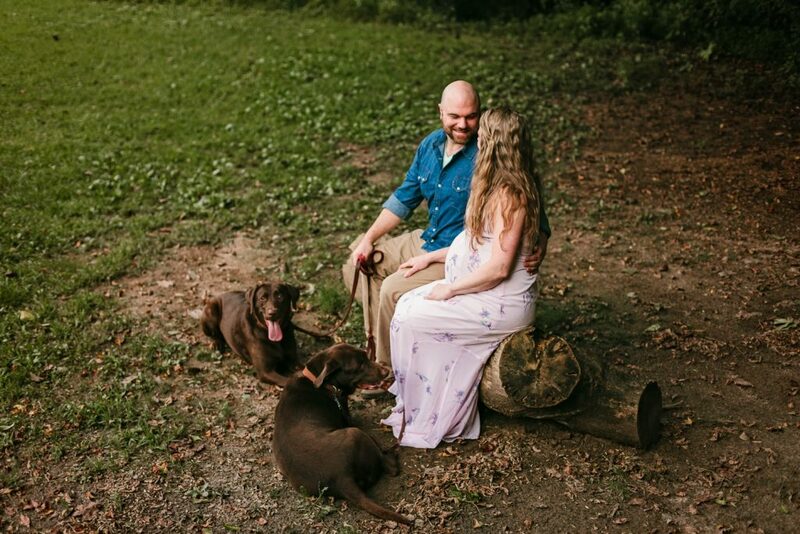 She offers maternity photography sessions, along with family and newborn sessions. She specializes in artistic, emotive imagery and lives with her husband and two little boys in the north metro suburbs. She regularly photographs little babies all around Atlanta, including but not limited to: Marietta newborn photography, Sandy Springs newborn photography, East Cobb newborn photography, Roswell newborn photography, Buckhead newborn photography, Midtown newborn photography, Grant Park newborn photography, Inman Park newborn photography, Alpharetta newborn photography, and more! To book a session please send her a message here!